This scam email forms part of yet another variation of the ATO scam distributed by cybercriminals over many years. These scams traditionally prove successful by exploiting the well-established reputation of the government agency. The scam emails use a display name titled 'Shipments in transit' with the actual sending address visible. This sending address appears to be a compromised account. 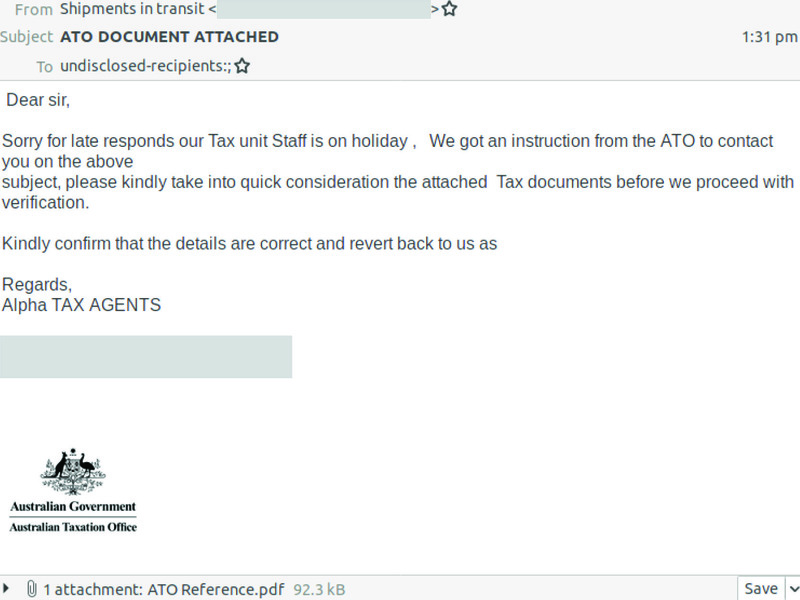 Arriving in plain-text form, the email starts with 'Dear sir' and then goes on to advise the recipients that the the ATO has given the sender instruction to contact them. The recipient is directed to consider the attached 'Tax documents' before they proceed with verification. 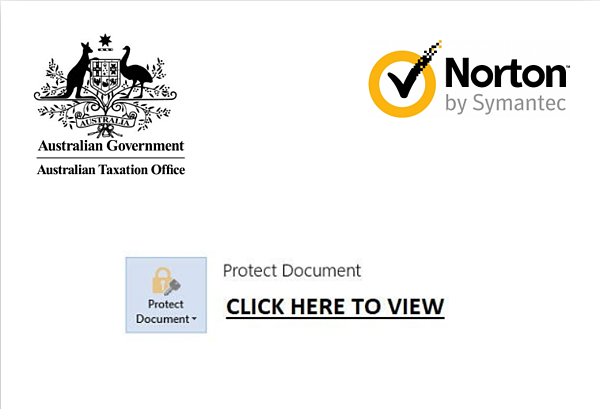 The attached document is a PDF file, which includes ATO branding and a Norton logo. The document is 'protected' and a link is provided to view. Once the user enters their email address and password, they are redirected to the Yahoo! login page. This scam has been designed to harvest unsuspecting recipients’ ATO login details. MailGuard urges all recipients of this email not to open any attachments or click on any links. Only click links from trusted senders. Take a closer look at any link by hovering your mouse over and checking the destination in your browser. If it doesn’t match, it is not legitimate. Never open an attachment (especially a .zip file or .exe file) unless you are expecting it. Files from unknown senders often contain malware or virus. Check who is sending you email communication. Be aware that malware, phishing scams or spam may come from unrecognisable or odd email addresses, however legitimate email addresses can be forged easily.